If conquering Wakely Mountain was on your hiking bucket list, you better get at it. Repairs to the trail and fire tower that shut down the Hamilton County outpost last year are now complete, so the site is back in business. That means the 70-foot tall Wakely Mountain Fire Tower is also open again, so anyone game for the challenge can climb the tallest fire station in the Adirondacks. The views the fire tower provides are the best from this central Adirondack location. This area is among one of the more remote sections of the park, but trails have been made accessible through the DEC’s work to clear brush and trees. The fire station was damaged by winter winds in 2017, forcing the closure of the area. Vanna Construction out of Saranac Lake worked with the DEC to replace all four concrete footings and install new hardware and fasteners. The structure also now has a new roof. The fire tower was constructed in 1916, replacing a wooden fire tower constructed in 1911. 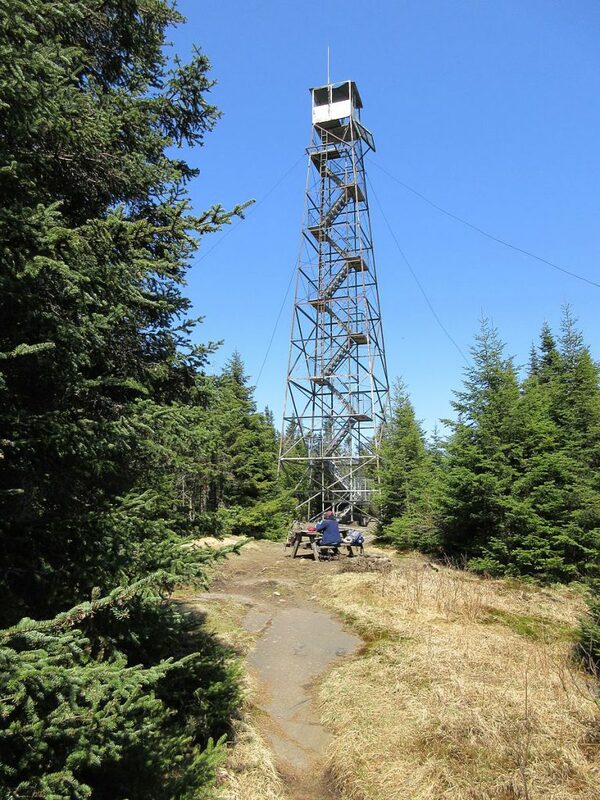 This fire tower is listed on the New York State and National Registers of Historic Places. It’s one of four fire towers of a particular model (AerMotor Model # LL‐25) that remain standing today, and the only one with a portion of the original steel ladder still attached to the tower structure. The fire tower was staffed and used for fire observation until 1988. 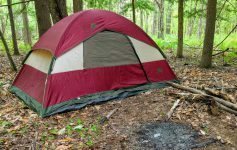 This trail in the central Adirondack Park extends 3.0 miles and ascends 1,600 feet from the trailhead on Cedar River Road in the Moose River Plains Wild Forest to the summit of the mountain. 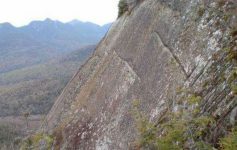 Most of the ascent is in the last mile of the trail. The summit is wooded and does not provide a view of the area but unobstructed 360-degree views can be had from the fire tower cab.